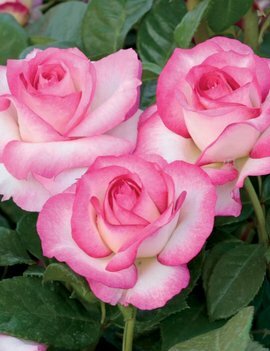 Bred by Weeks Roses • A true hybridizing breakthrough from the very talented hands of Jacques Mouchotte…a Hybrid Tea with black spot resistance, the classic shape and alluring fragrance everyone recognizes as a real rose. 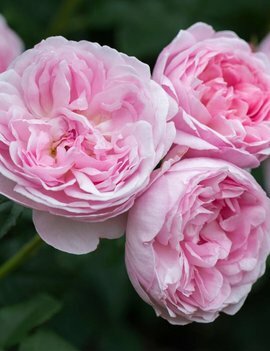 Tall and stately, Francis will show off his shapely soft pink blossoms atop long stems with abundant glossy green leaves. 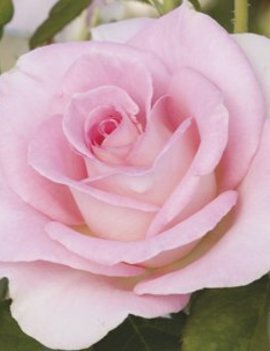 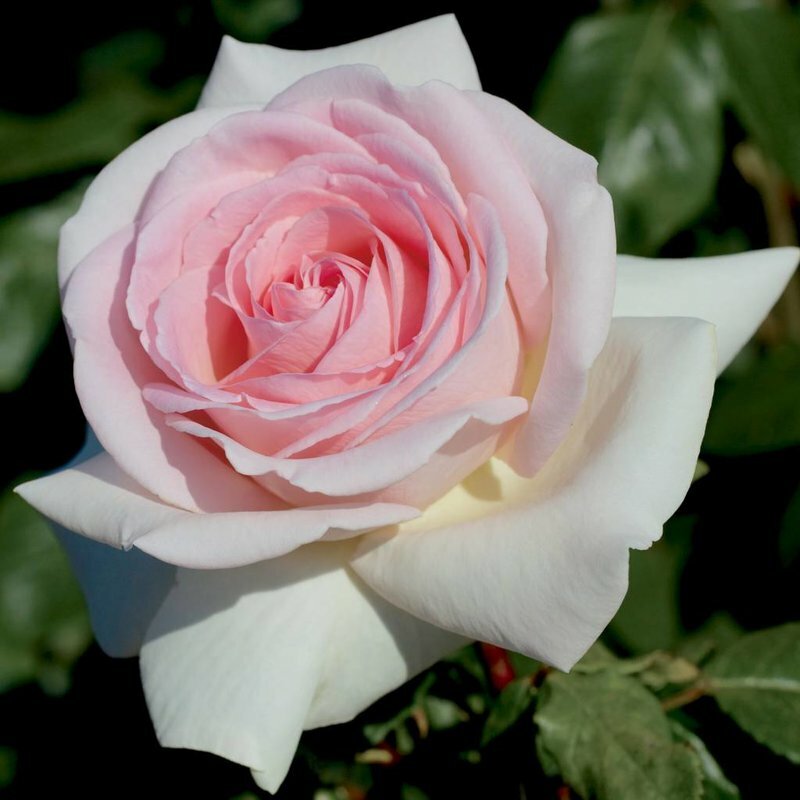 Named to honor the 100th birthday of the breeder of the famous Peace rose. 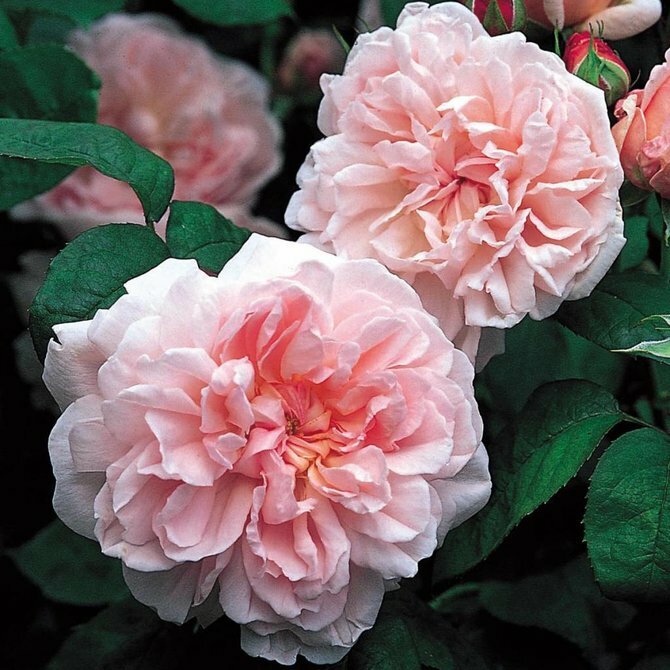 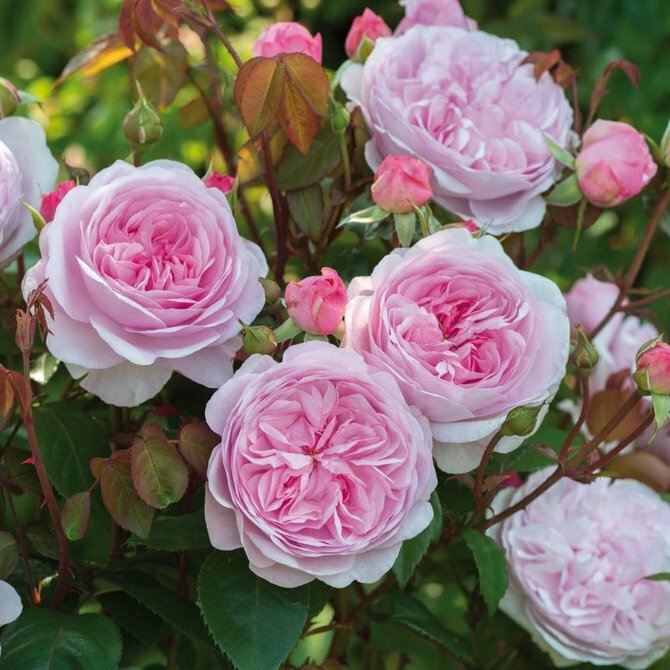 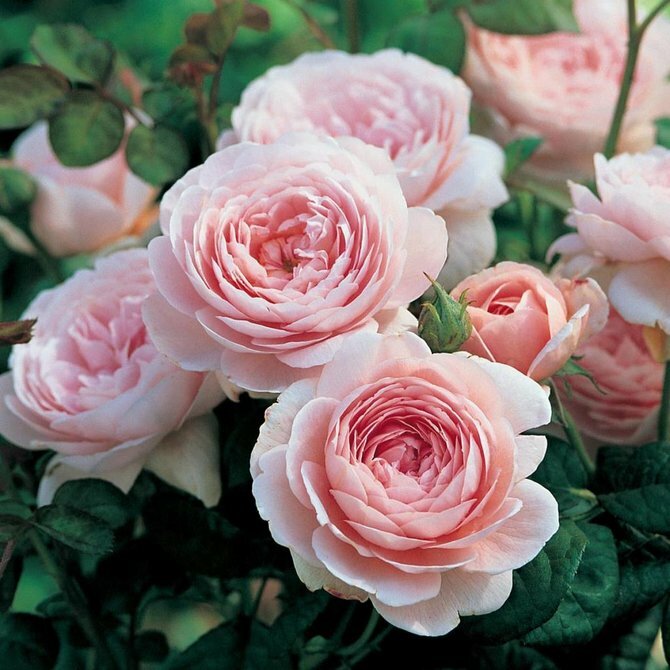 English Standard Rose - Bred by David Austin • Beautiful blooms with a charming Old Rose scent. 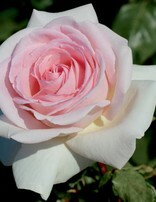 Bred by Weeks Roses • Perfect buds and flowers of everlasting pure white with vibrant pink edges. 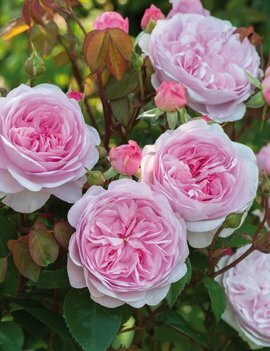 Its poise and grace shows in its large healthy glossy dark green foliage - this vigorous bush comes from a long history of beauty in her ancestors. 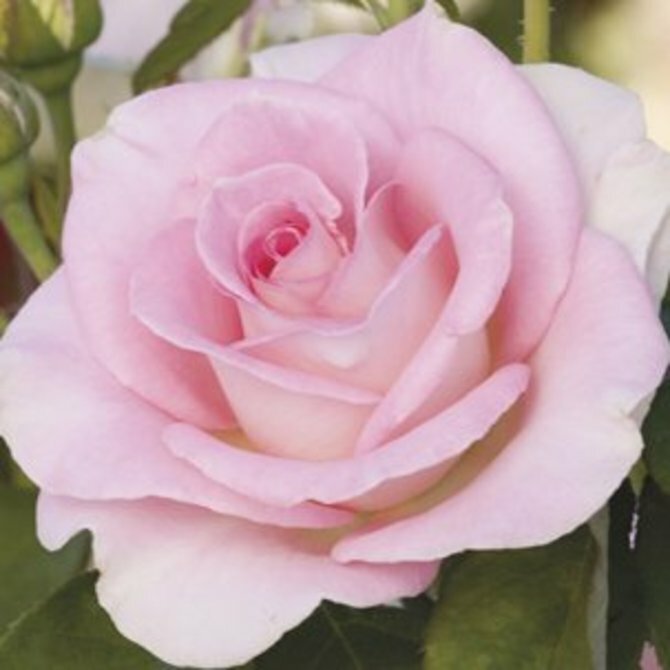 Bred by Weeks Roses • Big classically-formed fragrant flowers of warm pink and porcelain white. 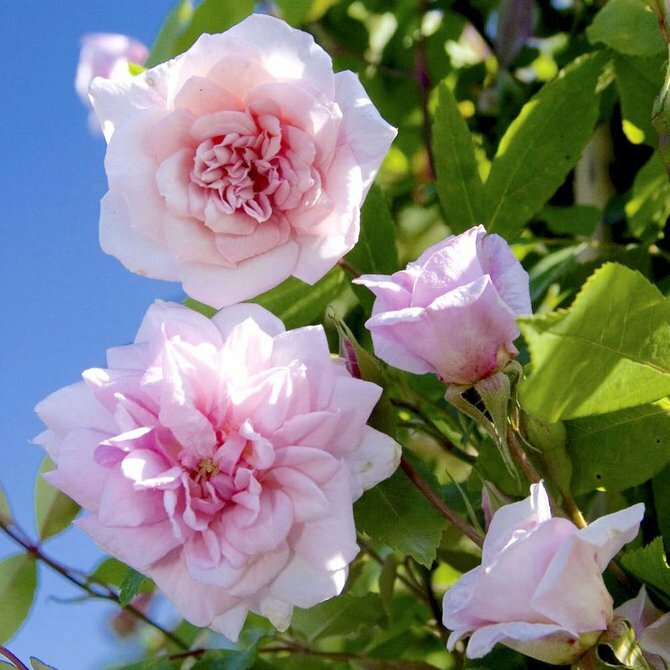 Each long-lived blossom is regally carried atop sturdy stems. 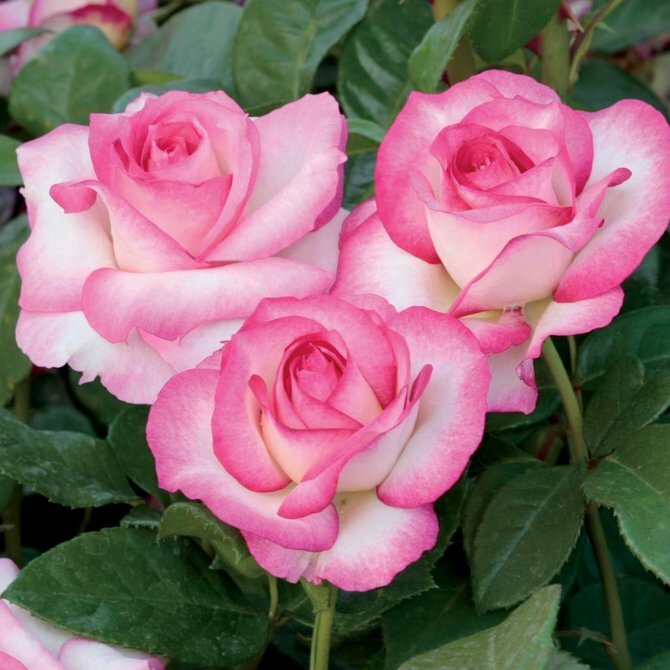 Destined to garner its share of awards, we’re certain you’ll swoon over Falling in Love. 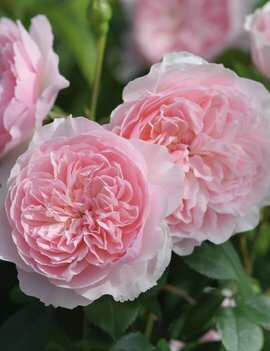 English Shrub Rose - Bred by David Austin • A charming and elegant rose with fruit scented, cupped rosettes. 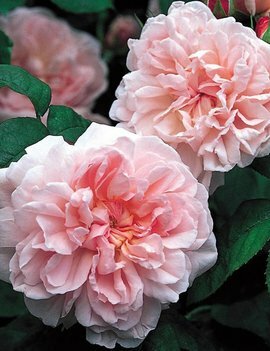 English Shrub Rose - Bred by David Austin • Pretty, fragrant flowers produced freely and almost continuously. 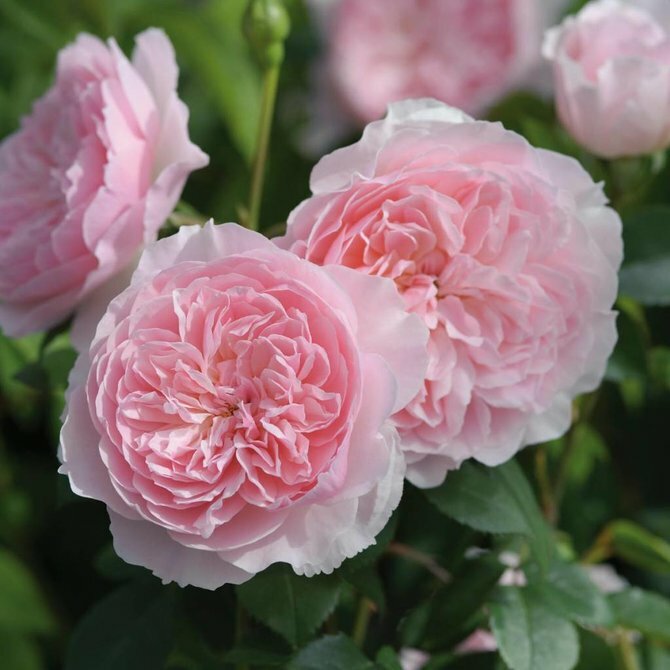 English Shrub Rose - Bred by David Austin • An excellent plant all round with fragrant rosette blooms. 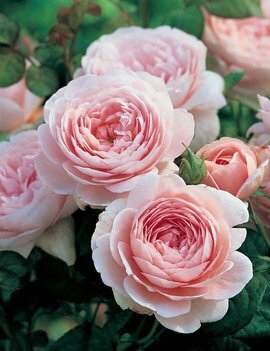 Bred by Monrovia • A favorite rose for cutting, especially for miniature bouquets. 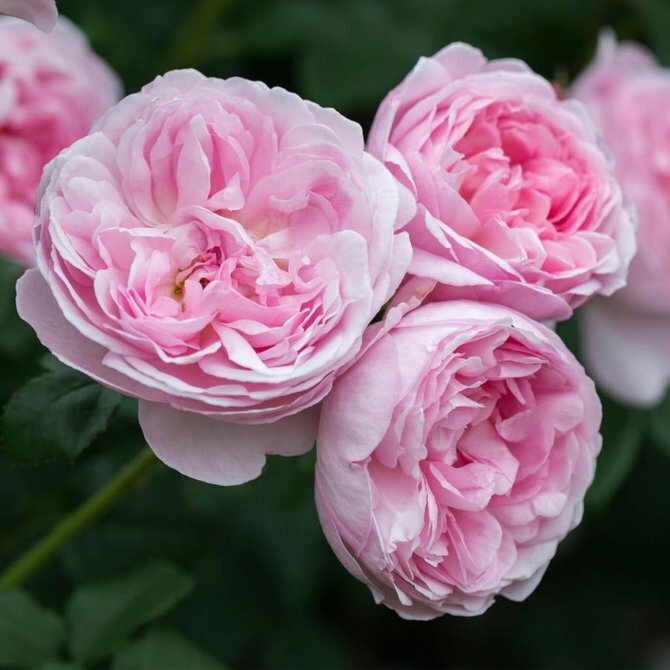 Small, delicately pointed buds open to fragrant, light pink, double blooms in large sprays. 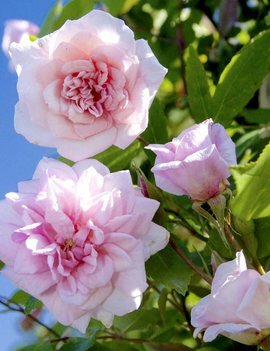 An ever popular climber for a trellis or arbor.